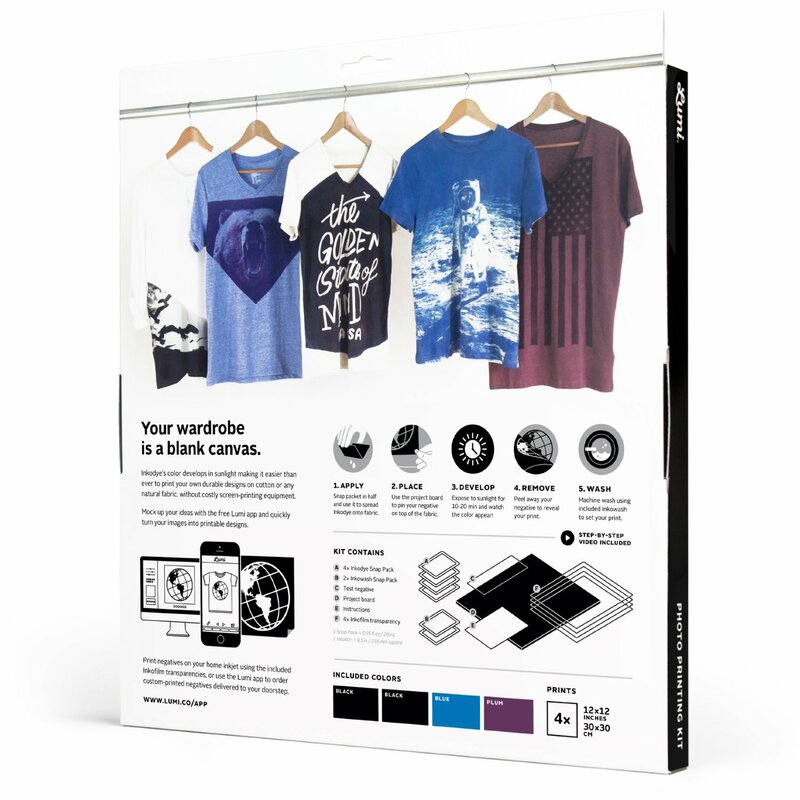 Have you ever wanted to create an original T-shirt idea, or maybe print a logo on something other than paper? 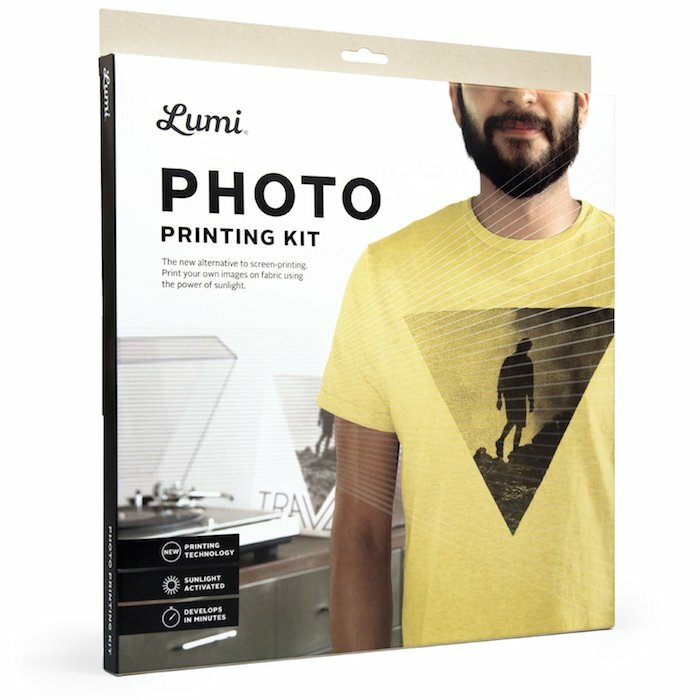 With a Lumi Photo Printing Kit you can use the power of the sun to print permanent imagery on any natural material! Just snap an image with your mobile device and upload it to the free Lumi app. The app creates a negative of your image that you can save and print at home, or have the print shipped to you from Lumi. Snap open the packets of sunlight activated dye and spread it on the negative. With the image secured to whatever you are printing on (maybe a T-shirt or duffle bag), place in the sunlight for ten minutes and the photo transfer will become a permanent design. Take your photography our of the darkroom with Lumi Photo Printing Kit.